Racing795’s annual Winter time trial handicap league kicked off in Ferns in monsoon conditions on Sunday 23rd October. Aisling Foley was the winner on the day and is the early series leader. No doubt the handicapper will be out to get her next time. Ross Moorhead had the fastest gross time, covering the 18km on his agricultural touring bike at an average speed of 35km/h. Very impressive in the conditions. A notable absentee from the race was Frank Burke who, to give him his due, had a decent excuse. 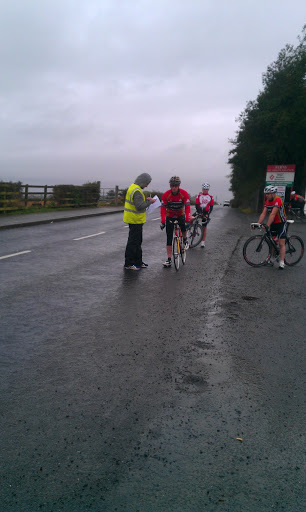 He cycled from Bunclody to Galway during Saturday’s monsoon! Round 2 takes place on 20th November.